Congress’s new spending bill includes a provision to block Cabinet secretaries or other presidential appointees from spending more than $US5,000 on their offices without alerting Congress first. The change comes after Interior Secretary Ryan Zinke spent $US139,000 on a new door for his office. And after Housing and Urban Development Secretary Ben Carson spent $US31,000 on a dining set. Congress is cracking down on fancy office redecoration by members of the presidential administration. In the new omnibus funding bill, released Wednesday, a small provision would force members of the president’s cabinet from making large purchases for their offices without notifying Congress first. The provision comes after multiple members of President Donald Trump’s Cabinet spent significant amounts on office redecoration. Interior Secretary Ryan Zinke drew criticism for spending $US139,000 on the construction of a new office door. 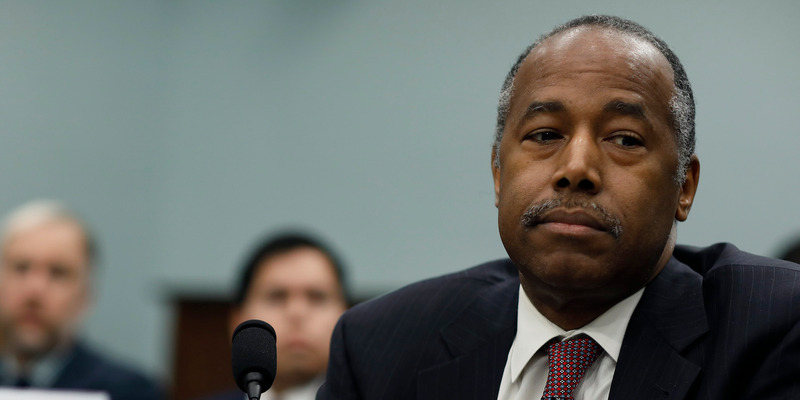 And Ben Carson, the secretary of Housing and Urban Development, came under intense for spending $US31,000 on a new dining set for his office. Carson later blamed the purchase on his wife.